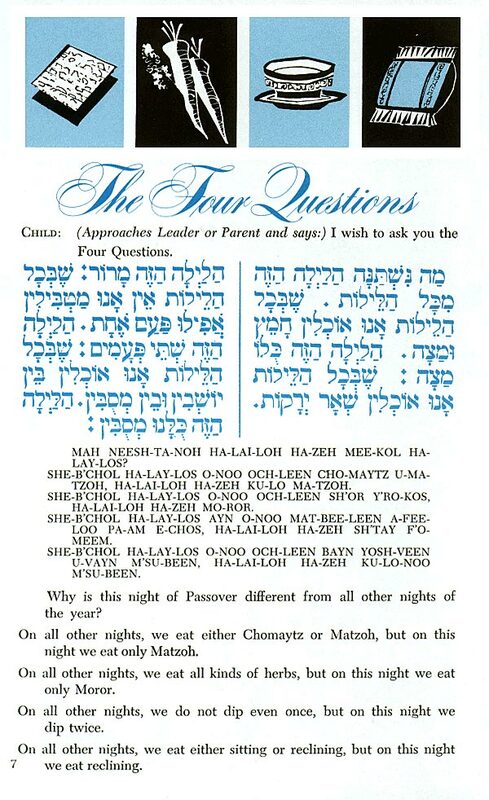 This page, entitled “The Four Questions” is from “Haggadah for the American Family” by Rabbi Martin Berkowitz. The phonetically transliterated Hebrew-English Haggadah text is easy to understand and facilitates active involvement of all Seder participants in the Jewish Passover Seder ceremony. How many people can take part in the Seder? What are the Four Questions, and why are they important?